Fox Parlor - Save us from the bugs! Save us from the bugs! I love my Plunk Naturals products—I carry some of their great candles, dog wash, and some incredible body washes, lotions and various kinds of sprays. The Buzz Off Bug Repellent is the biggest and most amazing surprise. I was hesitant to get it, as my experience with mosquitoes is that not much works on them. The joke in our area is that the mosquitoes are the size that they could carry away a small child. And it’s not far from the truth. Since I just can’t handle the smell of bug spray, I have sadly adjusted my life so I don’t sit out to eat dinner in the evening, and avoid certain activities during the times when the mosquitoes are active. And, occasionally I do have to deal with the horrible scents of effective DEET products as there is no other way. Or, was. So when I read about the spray, I had a secret wishful dream that it would work. But, I also realized that J. was most likely right when he said: Be real—nothing but DEET works. Dream on. So, got a couple to have them and quickly sold one bottle. Next weekend a woman came in and said, where is that bug spray? She said her friend bought it the week before, and it was incredible, worked really well, and was just amazing. So, I thought , what the heck, got a bottle for myself, tried it, and OMG! It actually works, Incredibly well! It might sound a bit dramatic, but I think I can say it has changed my life — how I do things. And, I got J. as sold on it as I am. We sat out for dinner one night and he was attacked by bugs, and I said, hey, try this, and he did begrudgingly, and now he’s SOLD on it. J. the avid outdoorsman and skeptic, now grabs for the bottle when we go for evening walks or hiking. Not the DEET! I can’t vouch for hit works in the deep outdoors for many hours of intense back country hiking as I haven’t tried that yet, but it works for everyday normal, active outdoors life in the mountains, in the woods. This post got bit longer than planned, but I am actually evangelizing this product now as it’s really incredible. It works, it smells good, and the scent quickly dissipates so you don’t think about it all evening, but it’s pleasant and nice when you smell it. 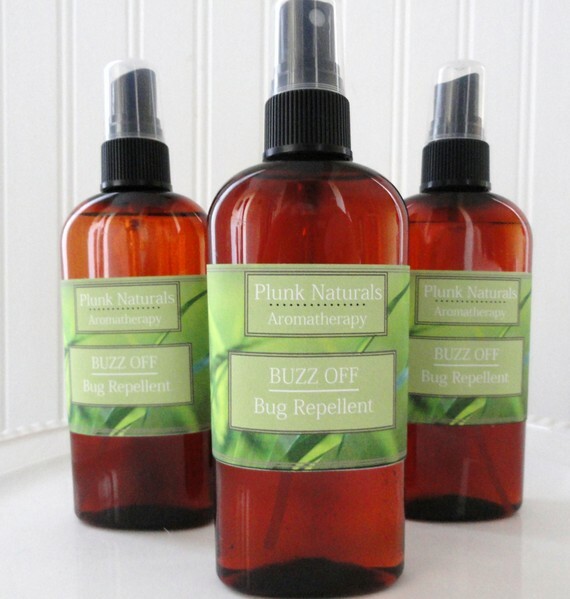 If you need bug spray, go and buy a bottle right now on etsy from Plunk Naturals — I promise you that you’ll be so happy you did.